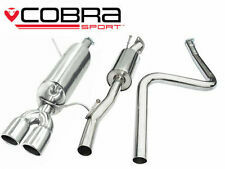 Perfect for any automotive or motorcycle application. Improving Car And Motorcycle Performance. 15m x 1", 1.5mm thickness. Made from Titanium fibers. 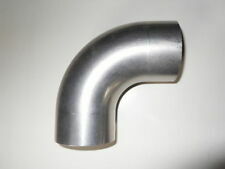 40mm 304 Stainless steel adapter. We pride ourselves on our great service. Our trained staff will help you in any way we can. Problems are always resolved in a fair and professional manner. 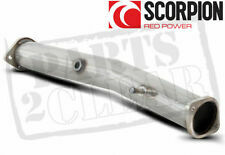 This was originally made to suit a ej2 but since I had it on my eg9 it's also same fitment for ek and em. 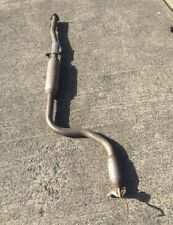 ( coupe or 4 door saloon) Will not fit hatch unless you have it modified my specialist exhaust fabricator. Unfortunately very good used condition. Postage and collection available. 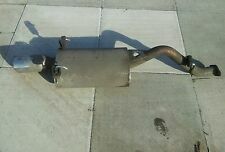 JDM HONDA CIVIC EK9 TYPE R GENUINE OEM MID B PIPE EXHAUST CENTRE SECTION WILL FIT ALL 96-00 HATCH . Condition is Used BUT VERY GOOD AS TSKEN FROM A FRESH IMPORT CAR MANY YEARS AGO Dispatched with Royal Mail 1st Class.